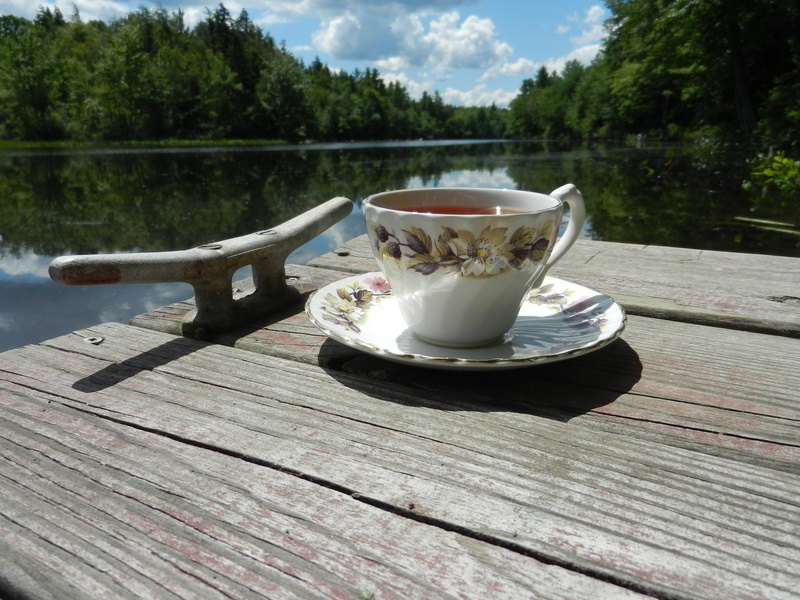 I am assuming I’m not the only tea lover who has a favorite tea, or a favorite spot to enjoy tea. One of mine is from eteaket tea in Edinburgh, Scotland. I visited this specialty tea store in 2013 when we were last there. I had seen their website and was looking forward to enjoy some tea and cake there. We had hoped to enjoy a picnic outdoors, but the weather had other ideas. While enjoying our tea goodies, I also bought some tea…and just today, FIVE YEAR LATER, I am almost down to my last cup of loose Lapsang Souchong tea that I purchased there. You might ask, if it’s my favorite tea, how could I have NOT consumed it all in this five year period? The answer is simple: I wasn’t sure if we’d ever make it back to Scotland, so I was making sure I only used it sparingly. I made sure I stored the tea in a dark, cool place, and each time I pulled out that tin of aromatic tea, it reminded me of that day and that city and that country. It’s an all-senses feeling for me when I enjoy a cuppa. Eteaket’s branding isn’t even the same as it was five years ago. Their look and packaging has changed, but I still following them on social media and enjoy their newsletters and seeing the wonderful activities they provide the community. I have also enjoy seeing how their tea has taken off throughout the city with it being available in so many locations. One of locations is also at one of our favorite spots for breakfast in Edinburgh: the Edinburgh Larder. And I’m SURE I’ll be posting from our new trip in 2018!